St. Peter’s Lutheran School is currently serving the western New York, Niagara Falls area in providing nurture, outreach and quality Christian education in partnership with the communities and family in the surrounding area. We proclaim the Gospel to all, nurturing growth and relationships with Jesus Christ. 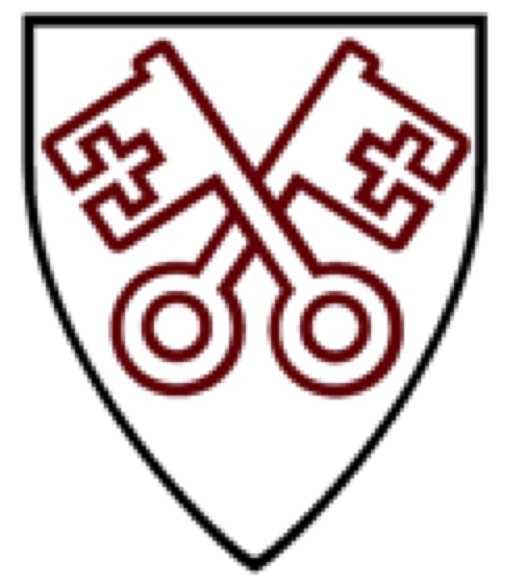 St. Peter’s Lutheran School was founded in 1844 and is a direct ministry of St. Peter’s Ev. Lutheran Church of Walmore, in Sanborn NY, an LCMC Congregation. Over 80% of our students are from non-members, with majority of them from non-church families which means our school serves as a Mission Field for the community and surrounding area. We are blessed to live in an area of diversity where we can reach out to and provide an education to children from the inner city, area suburbs, those on our local Native American Reservation, as well as the many who live in rural communities here in Western New York. As a school, we are able to operate in a stable position because of the gifts of the St. Peter’s Evangelical Lutheran Church. We offer financial aid to families who seek a Christian education for their children. Our belief is that no child should be turned away from a Christ based education due to financial constraints. Join us in partnering together to support finical aid scholarships, transportation for children in the inner city, outreach activities to families that are non-churched. Find out more at our website below. 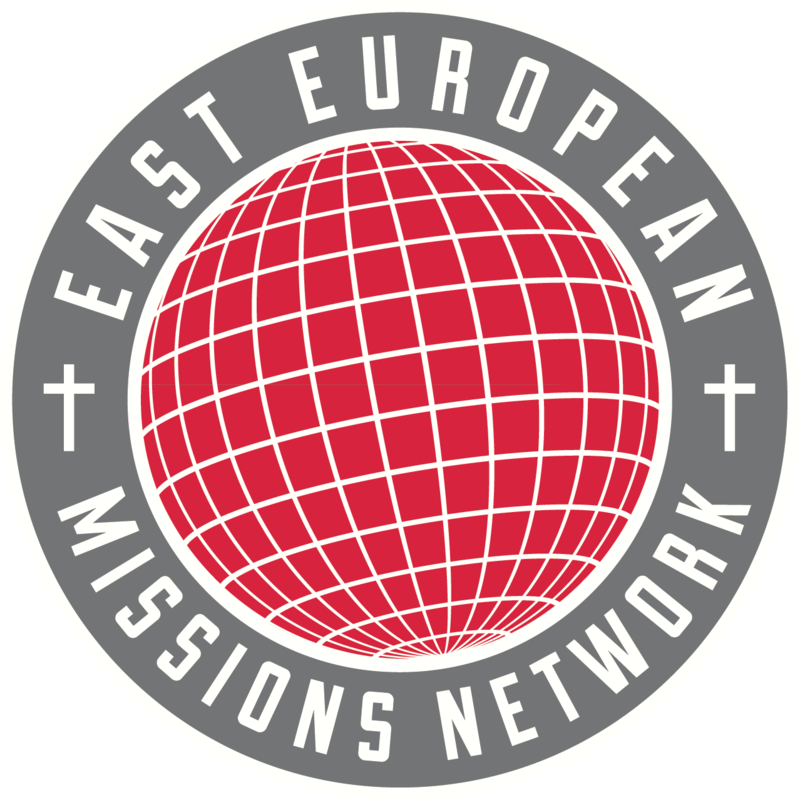 East European Missions Network (EEMN) seeks to Engage, Reclaim and Transform Lives in Christ by offering opportunities for North American volunteers to participate as members of short-term missions (STM) teams that serve to connect with people in former communist and Soviet bloc nations in East Europe, Russia, and the Balkans. EEMN missions teams host cross-cultural English Bible camps and schools for children; Life & Adventure camps for teens; and Bible studies for adults. Overseas teaching opportunities also exist for pastors and ministry leaders in a variety of settings and terms of service, through EEMN Regional Learning Centers. Long-term and career missionaries are also called, equipped, and sent to serve in specific kingdom-building capacities that help empower, equip, and grow the visions for ministry of our indigenous co-workers, overseas. This is how relationships are strengthened, disciples are made, and the Body of Christ is equipped for Kingdom Building. EEMN currently is serving in Albania, Belarus, Bulgaria, Estonia, Latvia, Russia, Slovakia, and Ukraine. EEMN is a registered 501(c)(3) nonprofit organization whose annual budget is funded exclusively through donations made by congregations and individuals. MissionsLink is new global mission networking tool created by LCMC mission partner ALWM & Bill Moberly. The global mission counterpart to Church Connect, MissionsLink is a searchable database of member congregations, mission agencies & individuals from across North America. MissionsLink provides a convenient way for LCMC members, congregations and partner mission organizations to SHARE THE RESOURCES YOU HAVE and FIND THE RESOURCES YOU NEED to be more meaningfully, strategically and effectively engaged in completing the Great Commission. Water Missions International is a nonprofit Christian engineering ministry transforming lives through sustainable safe water and sanitation solutions for people in developing countries and disaster areas. Using state-of-the-art technology and engineering expertise, the organization has provided access to safe water and the Living Water Message of Jesus Christ for more than 2.8 million people in 52 countries on five continents since 2001. Water Missions International implements customized safe water solutions through a comprehensive community development model in its nine permanent country programs in Africa, Asia, Latin America and the Caribbean. Each solution functions like a mini municipal water treatment plant capable of purifying more than 10,000 gallons of water per day which can serve up to 5,000 people per day. Through the provision of safe water, community outreach events and coordination with best-in-class ministry partners, doors are opened to share the Gospel of Jesus Christ. For over 40 years, we have been committed to serving children living in impoverished environments around the world by establishing economic, spiritual, water, orphan, and feeding programs. In addition to these programs, we have been leading teams of volunteers on two-week international mission trips bringing life-saving provisions and the spirit of Jesus. Mission On The Move serves Honduras, Mexico, Africa and the United States. Our primary goal is to share Jesus with the world. Mission On The Move, or MOM, was founded in 1986 by Rev. Ed. Cadle, Sr. Brother Ed served as pastor in the United Methodist Church for 37 years, he retired in June 1985. We are a non-profit, non-denominational organization, with a diverse board of directors from several states. Mission On The Move’s first refugee mission was established in Tapachula, Mexico in 1986. Bro. Ed retired from Mission On The Move in June 2008 and our Missionary Steve Shearouse has taken the role of Director. For twenty years, Mission On The Move has followed the Command of Christ, "Go," feeding, clothing, giving dental and medical care, and refuge to deserted, abused or neglected children. Mission On The Move has built five medical clinics aboard buses, established nutritional feeding programs, commissioned full-time missionaries to Honduras, Mexico, and Africa, established a well drilling program and established children's homes, or albergues, in Mexico to get the children out of prison where they are living with their imprisoned fathers. ]]> Centershot Ministries http://www.solapublishing.com/mission-partners/summaries.html Fri, 17 Jan 14 00:00:00 -0700 Did you know “sin” is an archery term? It means, “to miss the mark.” Centershot Ministries targets the entire family on “hitting the mark” — Jesus Christ. Centershot is a non-denominational discipleship program that combines the Gospel with Olympic-style target archery to connect families to the local church. The purpose of Centershot is to spread the Gospel of Jesus Christ through the local church. You see at Centershot we believe the local church is God’s best plan on earth to spread the Gospel message. The heart of Centershot is helping local churches touch the lives of the very people that live within their communities. Since its inception in 2005, Centershot Ministries has been introduced in 47 states and 18 foreign countries. More than 3000 churches, camps, outdoor ministries and missionaries are using the Centershot program to reach families for the Kingdom of God. Thousands of families are connecting with their local church and are being introduced to the saving Grace found in Jesus Christ. Together, your church and Centershot can help your community "Make Christ the Target of their Lives!" Dakota Boys and Girls Ranch is a Christian residential treatment and educational center for youth and their families, a place of healing and hope unlike any you’ve known. A place where troubled kids and their families find professional care, compassionate expertise and new possibilities. A place where we look the most troubled, complex, and amazing kids in the eye, walk with them, and help them become their best selves in this world and in Christ. Each day, the Ranch provides hope, care and healing for the most complicated and hurting kids on its campuses in Bismarck, Fargo, and Minot, ND. At any one time, over 90 children, ages 10-18, are at the Ranch for psychiatric residential treatment or residential child care (also known as group foster care). These children have experienced severe emotional, behavioral and developmental challenges and come from diverse backgrounds, cultures and religions. They work hard, with our professional expertise and guidance, to overcome issues like conduct disorder, autism spectrum disorders, borderline personality disorder, depression, anxiety disorders, chemical dependency, sexual offending; and issues related to trauma, abuse and neglect. The Ranch’s compassionate and professional experts provide best in class (psychiatric) therapy and trauma-informed care. We are attentive to each child’s unique mental, physical, educational and spiritual needs. Our ministry’s success in serving children and families is attributed in great part to our Spiritual Life Program, which is not provided by secular agencies. Children attend Chapel, sing in the choir, attend Bible Studies and confirmation classes. Each year we welcome children into God’s arms through Baptism and Confirmation. Children who choose to not participate in Spiritual Life programming, become part of the Ranch Life groups and learn good citizenship, morals and how to engage with others in the community. The Ranch was established in 1952 with a mission to help at-risk children and their families succeed in the name of Christ. Dakota Boys and Girls Ranch is a Mission Partner of the Lutheran Congregations in Mission for Christ (LCMC), a Recognized Service Organization of the Lutheran Church—Missouri Synod (LCMS), an Affiliated Social Ministry Organization of the Evangelical Church in America (ELCA), and a founding member of Lutheran Services in America (LSA). ]]> Lutheran Disaster Assistance Fund http://www.solapublishing.com/mission-partners/summaries.html Wed, 15 May 13 00:00:00 -0600 Vision: To support the needs of victims of catastrophic natural disasters with a spirit of sharing God's love. Questions? Contact the LDA Fund Chair, Dave Brauhn, at brauhn1864@gmail.com. ]]> India Transformed http://www.solapublishing.com/mission-partners/summaries.html Wed, 13 Feb 13 00:00:00 -0700 India Transformed engages caring people to invest in Christ’s transforming ministry among India’s needy. 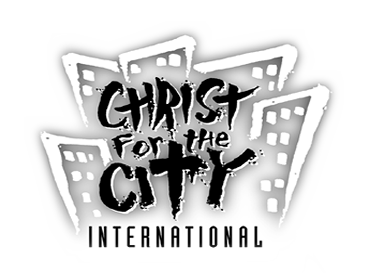 Christ For the City International has over 20 years of experience in providing churches, teams and individual Christians with the greatest of all adventures; fully customized mission trip opportunities that transform lives and cities for the Glory of God. CFCI works in 16 nations, with over 130 ministries! We provide you with a wide variety of experiences and opportunities to explore your calling and discover how, and where, God is calling you. Our Global Teams program sends over 500 teams every year internationally on fully customized trips for 1-4 weeks. Our Global Ambassador program sends individuals on mission trips for 1-12 months. Our Urban Plunge program sends over 1,500 youth every year on weekend and week-long mission trips to 9 different cities within the USA. You also have the opportunity to Join-A-Team as an individual, couple, family and small group of friends! Current Join-A-Team opportunities are regularly updated on our website and include specialty and creative trips such as Photography, medical/dental, sports trips and more. Visit www.cfci.org for additional information. 100% of your gift goes towards the mission project you choose to support. Nothing is taken out of your gift to pay for our administrative costs. This is our guarantee! We do not ship anything to Madagascar. Freight costs are very expensive. The funds raised by us are transferred to the church and they purchase the products in Madagascar. This also helps the local economy in Madagascar. We do not own any property and we do not have a paid staff. We transfer financial gifts quickly to the mission project site in Madagascar. There is great financial need in Madagascar for support of mission projects. We work to shorten the distance between the time a donor’s gift is received and the gift is transferred to the mission project. Ejeda Hospital Nutrition Program: In Madagascar the patient’s family is responsible to provide the food. Drought is frequent at this S. W. Madagascar hospital location and so families are without food. How will a patient become well without good nutrition? This program provides food for these families. Many of the patients come from non Christian areas, and so this is a part of their evangelism outreach and witnessing to the Faith. Prison Ministry: In Madagascar the prisoner’s family is responsible to provide food. This program provides, Bibles, worship services, counseling, confirmation, baptisms, medicine and rice. This is another program with the focus on evangelism outreach and witnessing to the Faith. Evangelists and Bible Schools: The work of outreach into the villages where the Gospel has not been heard is done by evangelists. They attend a two year Bible School of the FLM. Their annual wages is $600.00 a year. The FLM does not have the resources to pay these evangelists. FOMM, with FLM approval, has set a goal of supporting 25 evangelists by the end of 2012, and increasing the number each year as approved by the FLM. Madagascar is ripe for hearing the Gospel, and the Malagasy evangelists are the answer to this need. In addition we work to provide support for the Bible Schools. Since 1914, South America Mission exists to see the church of Jesus Christ multiplied across South America, transforming local communities and the world by embodying the Kingdom of God. SAM’s missionary corps and partners participate in God’s work by above all, living as His redeemed children, and then entering into disciple-making relationships, training godly leaders, planting churches, and enabling church-driven, transformational initiatives. Affiliations: Evangelical Council for Financial Accountability (ECFA) and Missio Nexus. The strength of the ministry is the follow up counseling given to families who have received a boy back home again. This reconciliation is enhanced through seven Bible study groups. In these groups, families are ministered to by an indigenous Lutheran pastor and vicar and encourage each other in their family challenges. You can read more about Capstone on their website at www.CapstoneMinistries.org. You can subscribe to the newsletter and write directly to missionaries Dan and Patty Schmelzer at CapstoneMinistries@gmail.com. The Galilee Evangelical Mission is connected to the Evangelical Renewal District and is an international partner with LCMC. ]]> World Encounter http://www.solapublishing.com/mission-partners/summaries.html Mon, 18 Jun 12 00:00:00 -0600 Investing in the lives of the least – the last – the lost with tools of hope, igniting dreams and transforming communities! World Encounter serves the poor in the developing world through holistic community development. We work along-side the poor, providing microloans to enable women to start small businesses and work their way out of poverty. The goal is to see individuals and the communities they live in transformed in all aspects of their lives and relationships. World Encounter short-term teams are an essential link. Volunteers are involved in hands-on service projects, leadership development and friendship evangelism. Volunteers also provide training in basic business skills, marketing and record keeping, as well as career skills ranging from agronomy to tailoring. Pastor K.K. is a converted Muslim and has a strong calling to tell Muslims about salvation through Jesus Christ. This is a Government certified school that has over 1,200 students – Preschool to Gr. 12. Only 6% of the students are Christian, but each day begins with Christian prayer and devotions. Many Muslim students stay after school to learn more about Jesus Christ. Pastor Titus travels throughout Nigeria, starting and supporting Christian churches in Muslim villages. He is fearless in his faith of Jesus Christ. Frank works with foreign University students, linking them up with fellow Christian students, holding noon meals, taking them on weekend retreats: always telling them about salvation through Jesus Christ. Current officers of New Hope Mission Society are: Dorothy Desens, President; Paul Knudson, Treasurer; Joann Yost, Secretary; Ian McDonald, Project Manager. 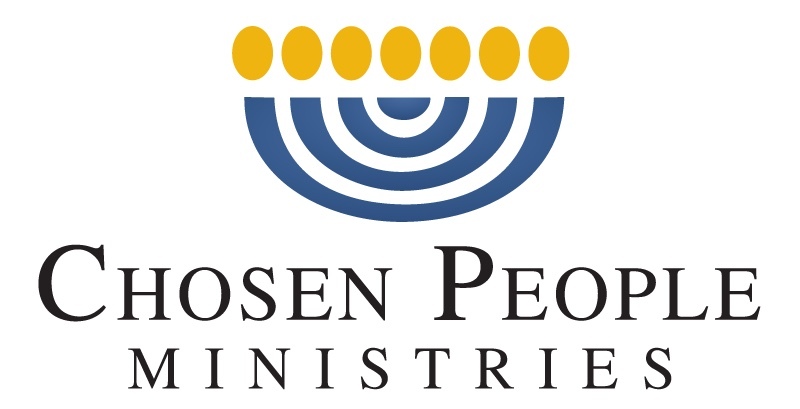 ]]> LAMP Ministry http://www.solapublishing.com/mission-partners/summaries.html Sun, 17 Jun 12 00:00:00 -0600 LAMP is a cross-cultural ministry that shares Jesus’ love with people living in remote areas of northwestern Canada. Each summer, over 500 volunteer short-term missionaries travel North to Canada for a week or two to teach First Nations children about Jesus through LAMP’s Vacation Bible School and Sports Ministry programs. Young people and adults are impacted by the ministry, too, as teams establish relationships in the community through faithful witness and Christ-like love. Partner churches can support LAMP prayerfully, financially, or directly by sending individuals or teams to the mission field. Visit our website to view over 50 service opportunities at wmpl.org/serve-now. Standing behind those who go are scores of congregations and over 6,000 individuals who have committed themselves to pray. Start by becoming a ‘praying member’ yourself at wmpl.org/membership. Get to know us and our guiding document at wmpl.org/handbook. Child Outreach International is a non-profit organization made up of caring Christians who have chosen to come together to make a difference in the world we live in. We are non-denominational and work with who and where the Holy Spirit leads us to share Christ grace and promise. Our focus in the impoverished and often remote areas that we serve in Nicaragua, Guatemala, Mexico, and the Texas border areas is to not only share our blessings, but to empower churches, schools and whole communities. We do this by not only sharing our faith, but by helping them obtain the materials and opportunities they need to improve their lives and future, leaving Christ’s footprint wherever we serve. Some of our current and past efforts include developing and equipping children’s ministries and several women’s sewing co-ops, children’s feeding programs, providing needed medical supplies to clinics, nursing programs, and hospitals, digging deep wells and installing dependable water and septic systems where these services did not exist and contributed to ongoing health issues, building and repairing homes, schools, churches and the first library that serves an extended rural area of Nicaragua where books are considered a luxury. We have provided school and teaching supplies to impoverished rural schools and scholarships to a Lutheran school in Guatemala. We also welcome partnerships with other organizations on projects we deem worthwhile and productive.